Andrew Pruss is a Principal at ERA. He is a graduate of the University of Waterloo, with a Bachelor of Environmental Studies and a Bachelor of Architecture. 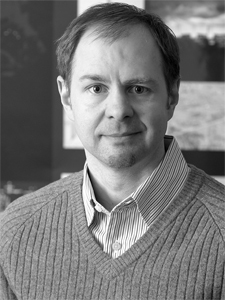 A winner of numerous awards for architecture, Andrew has led a wide range of residential, institutional, and commercial projects, including the adaptive reuse of Toronto’s Distillery District. He is a member of the Association for Preservation Technology International (APT).